Welcome to our wonderland of the cutest People Puppets and an amazing world of animals. We now carry Sesame Street Puppets! You will be sure to find many that are a must for your collection. Or, to send a Check or Money Order call (717) 258-6873. 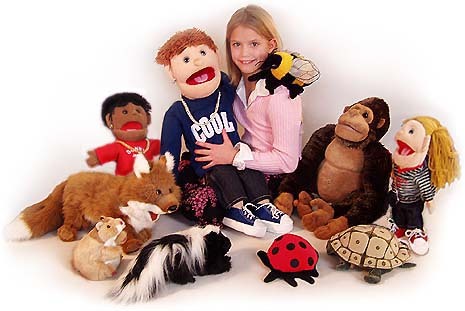 This is the web site of The Puppet Place, which is not an affiliated company of Gund, Inc. The representations made on this Site are those of Puppet Place’s.